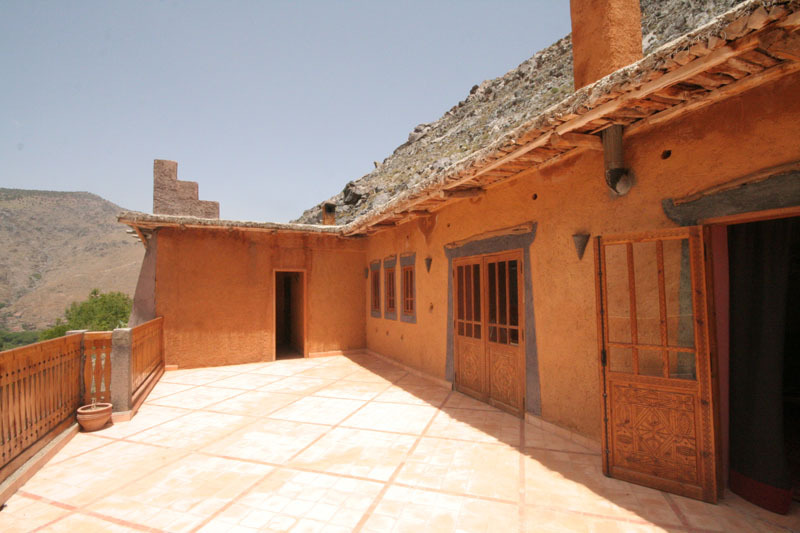 Le Village du Toubkal Client Comments, Reviews and Testimonials. 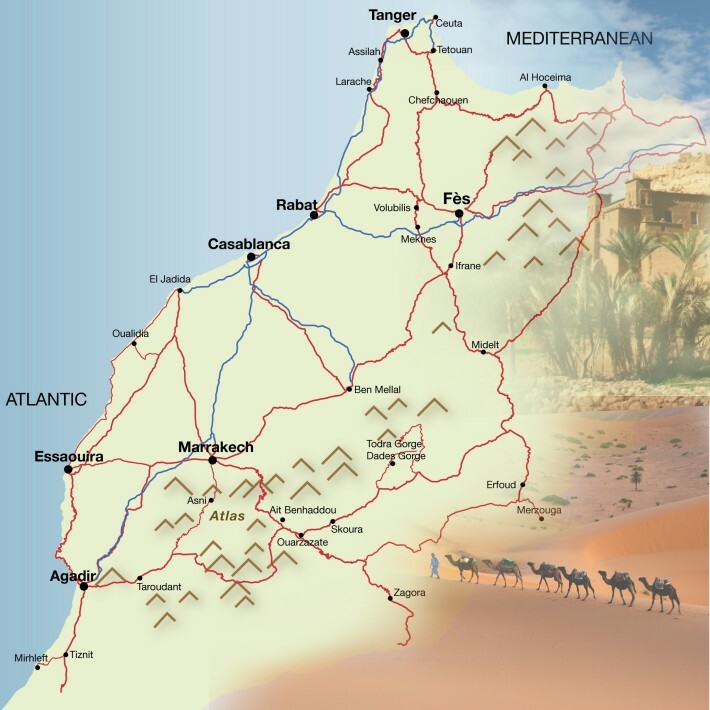 Book Le Village du Toubkal Today with Hip Morocco - Holiday Accommodation in Atlas Mountains and Ourika Valley, Morocco. "Humble Moroccan luxury in a beautifully secluded Berber area of the High Atlas Mountains"
On the way up to the summit of Toubkal mountain in a small Berber village perched up on the side of the valley leading down to Imlil sits Le Village du Toubkal & Spa, a beautiful house of peace and tranquility. The village of Imlil is a 25 minute walk or mule trek from Le Village du Toubkal, half through a slightly rocky terrain passing through 2 small Berber hamlets and trees fresh with big red cherries and the other down a small road filled with local Berber people and Muletiers (the men who keep the Mules). The ascent and decent is paralleled by the humbling man made mountain water channel that accompanies you, gently bringing you and nature together. 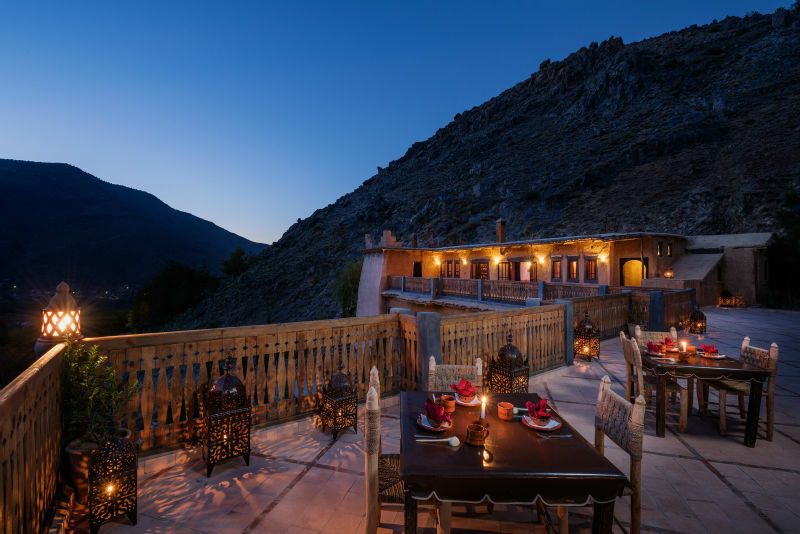 Le Village du Toubkal is a haven with confidential elegance complimented by the beautiful snowcapped surroundings and large sun weathered terrace with uninterrupted views of the Moroccan High Atlas Mountains. Rooms and suites at Le Village du Toubkal are spacious with a simple but luxury Moroccan charm complimented by the abundance of traditional Berber artwork, large bathrooms with beautiful linen and breathtaking balcony views looking down on the valley of Imlil and up to the surrounding High Atlas Mountains of the Toubkal national park. 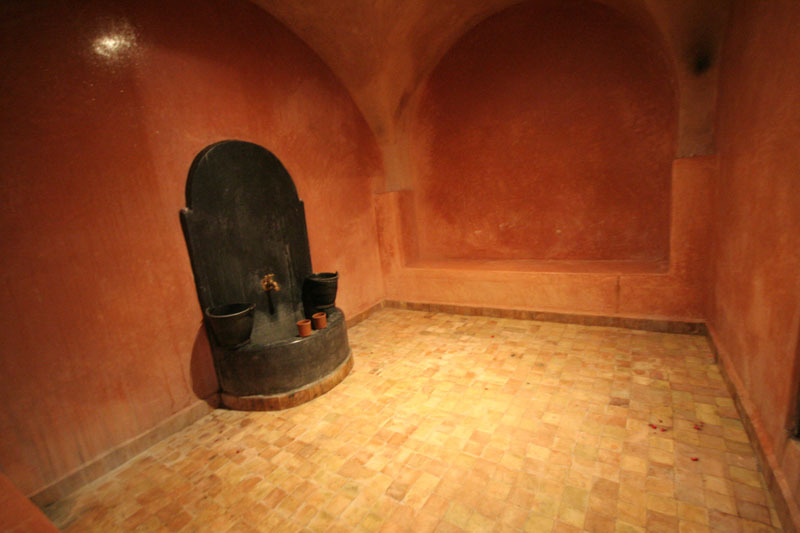 The Spa at Le Village du Toubkal is dark, sensual and very well presented with massage room, Hammam and small chill-out salon to enjoy a fresh mint tea after 3 hours of deep relaxation. 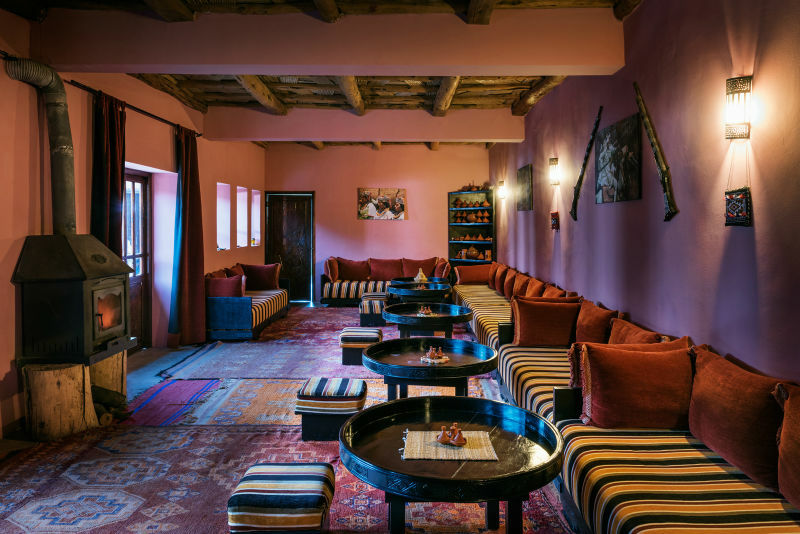 Le Village du Toubkal has a large open roof terrace with views over the valley where guests can enjoy meals alongside the working clay bread oven and low Moroccan benched seating areas in the salon. 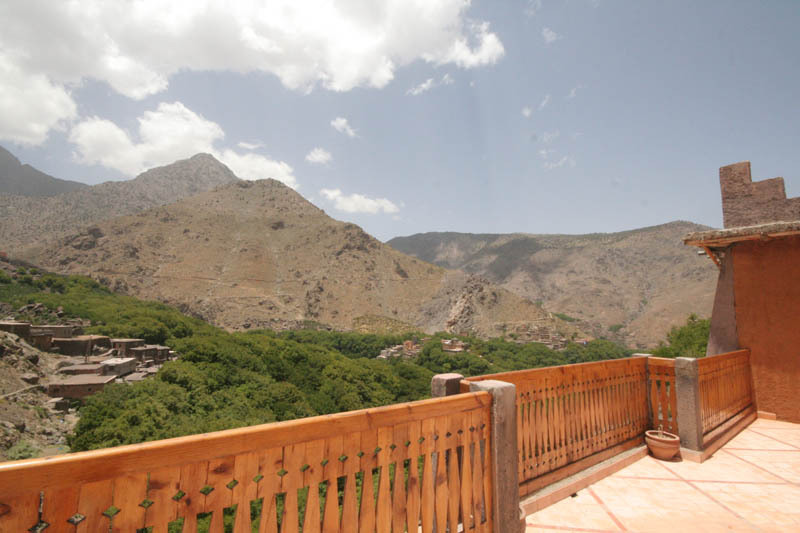 Le Village du Toubkal is a secluded relaxing house of tranquility located in a small sleepy mountain Berber village, and a perfect restful retreat for a romantic getaway in Morocco, honeymoon ideas or as a couples holiday in the Atlas mountains to ignite a romantic togetherness. Offering stunning views over the valleys and mountain tops overhead, the restaurant is open thoughout the day to serve you nothing but the freshest food, grown by local farmers. 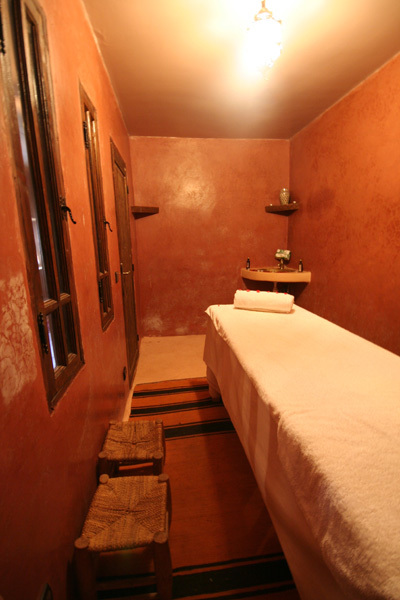 Using organic local products ( henna flower powder, argan, essential oils... ), the Hammam and Spa at Village du Toubkal is meant to make you forget all about the day to day little trouble and relax in a truly amazing setting. 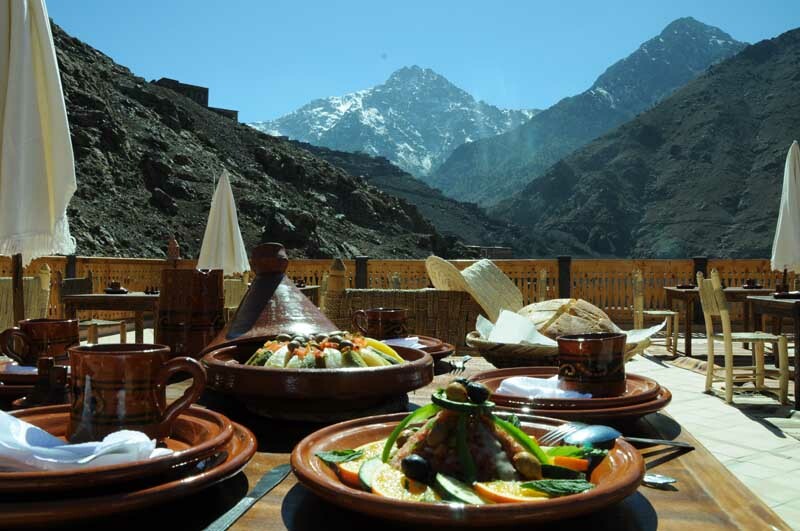 Animated by a local Moroccan chef and his 'Dada' assistant ( name given to a female Moroccan cook ), either on the sunny roof terrace at Village Du Toubkal or down in the village. Half a day lesson to learn more about Moroccan food, the class ends in a friendly meal. 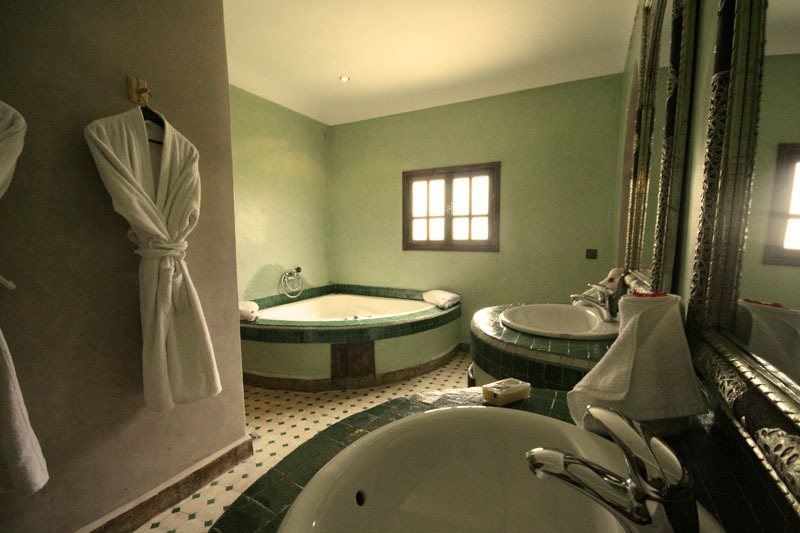 "The Village Toubkal & Spa is the perfect combination of great staff and beautiful hotel set in an amazing spot at the feet of the Atlas mountain. Nawal was always graceful and patient while Hassan and Abdel Malick cooked delicious food. The room was spacious with a balcony and beautifully decorated with local artcraft. This is an excellent place if you wish to retreat and spend time on the terrasse reading or hiking in the mountains and going from one village to another. 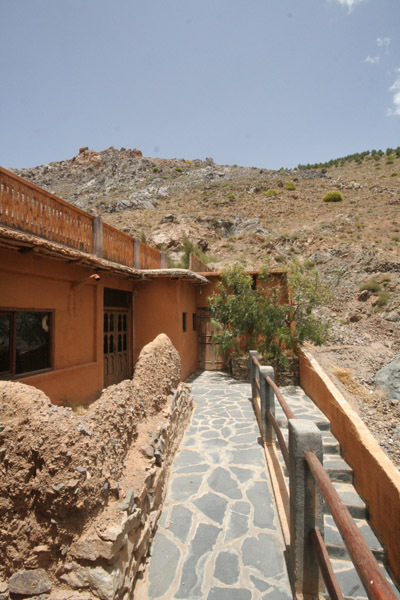 Mother Nature and the Village du Toubkal staff will welcome you." 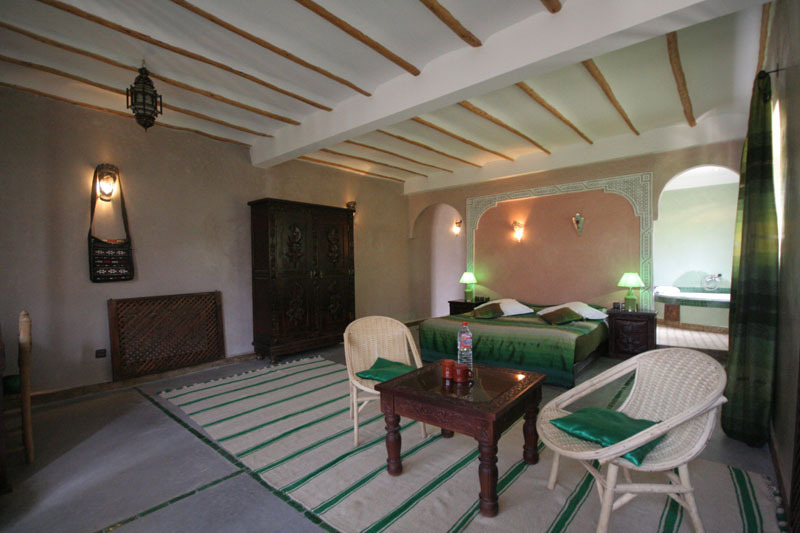 "The place is this amazing combination of the peaceful and serene location and lovely people. Our room was very spacious, light, airy and beautiful. Our little daughter could not get enough of running all around it. The food made by Hussain and Abdul was extremely delicious. Nawal, being the only English speaking staff, was our main translator. Evenings were spent in having the awesome mint tea and chatting away with Nawal, Fatima and other guests. The lack of TV went unnoticed. All the staff was so very helpful, it made travelling with our 1.5 years old very easy. Whatever we needed they were always there. I am sure we are going to keep coming back to this place." 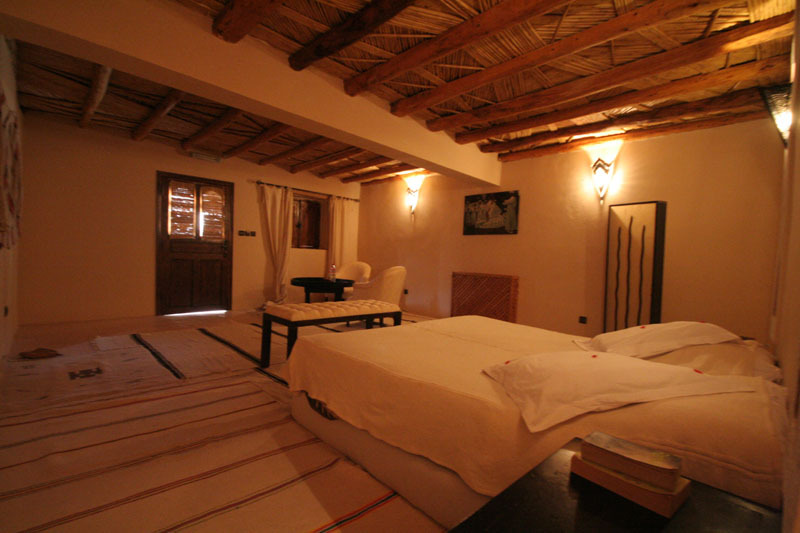 "Returned from a 5-night stay at fantastic hotel, high up in the Atlas Mountains. It’s not easy to say in a few words just how very special and magical our stay was! service from the minute we were picked up from our hotel in the city. When we arrived, we were shown to very large room with all the modern commodities at the side of the hotel with a view to simply die for, overlooking the mountains. The restaurant terrace overlooks the gardens and the nearby woodlands of the local villages. The room was spotlessly clean as so is the rest of the hotel. The best service we had in anywhere in Morocco! Perfect for a long holiday to relax, hike, be pampered ... regenerate the soul under spectacular night, unadulterated night sky. A stunning hotel & spa." 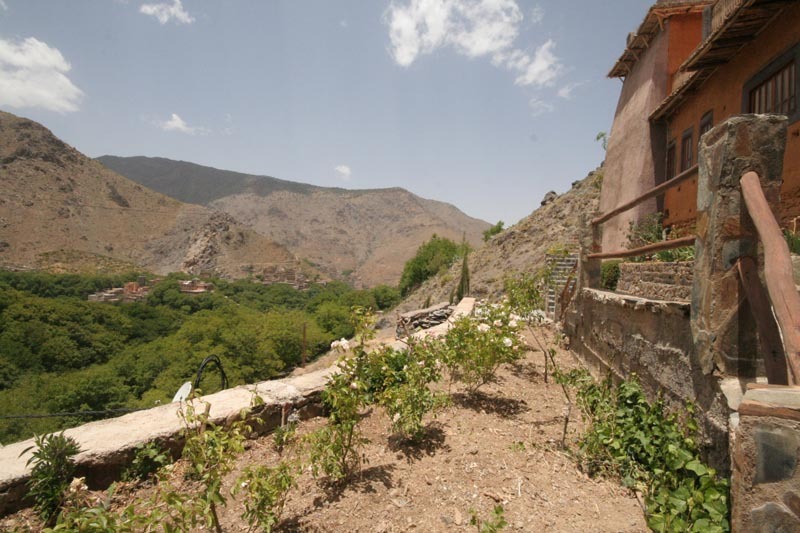 Perched on the side of the valley of Imlil in a small sleepy Berber hamlet accessed from the Mule lined road by a 10 minute walk or mule trek through small dirt and rocky paths leading up the mountain, Le Village du Toubkal boasts some of the best views of the High Atlas Mountains. 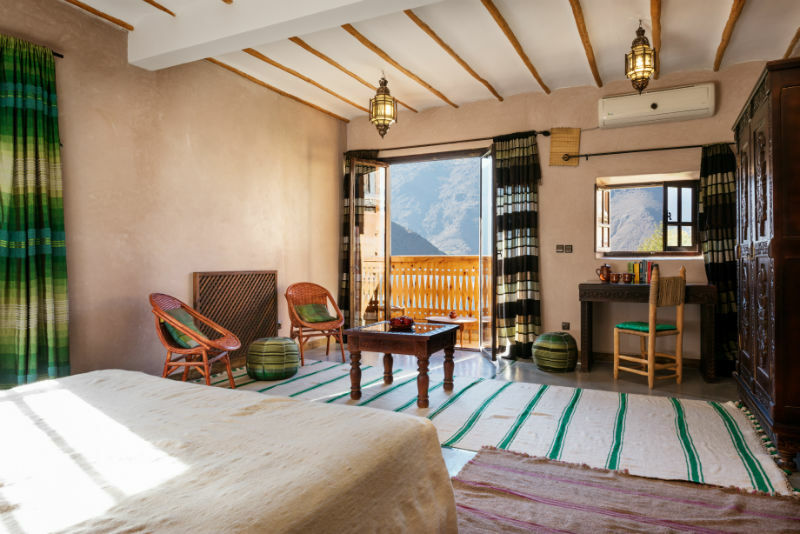 The 2 standard rooms at Le Village du Toubkal can be made up as a double or twin and are spacious, simply furnished and with wonderful views of the High Atlas Mountains. 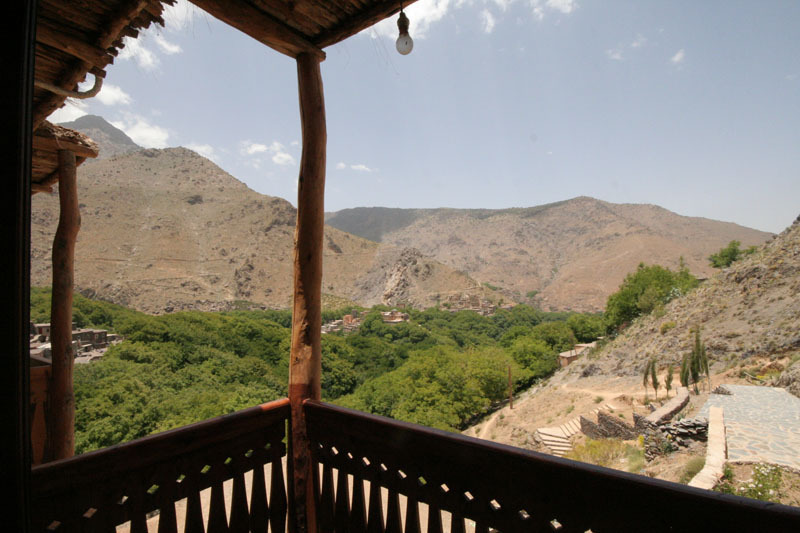 One of the rooms has a balcony looking down over the valley of Imlil and Moroccan High Atlas Mountains. 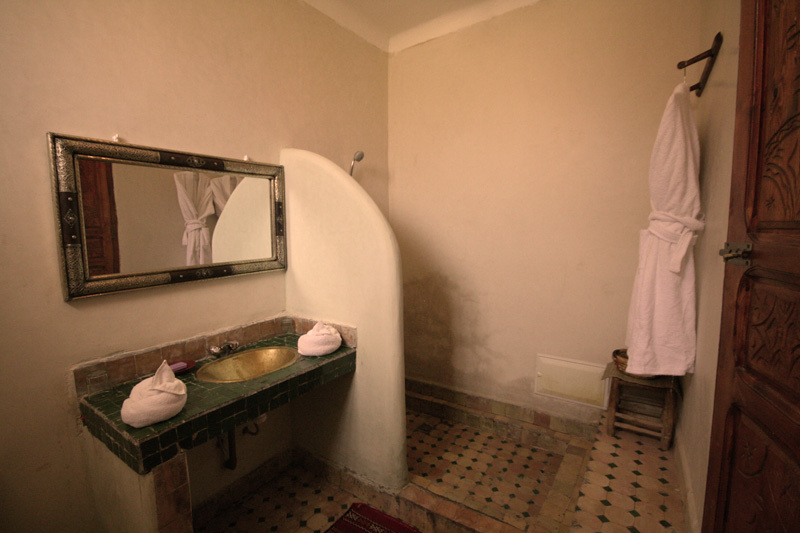 The bathrooms are spacious, simply furnished with Moroccan tiling and have large walk in showers. 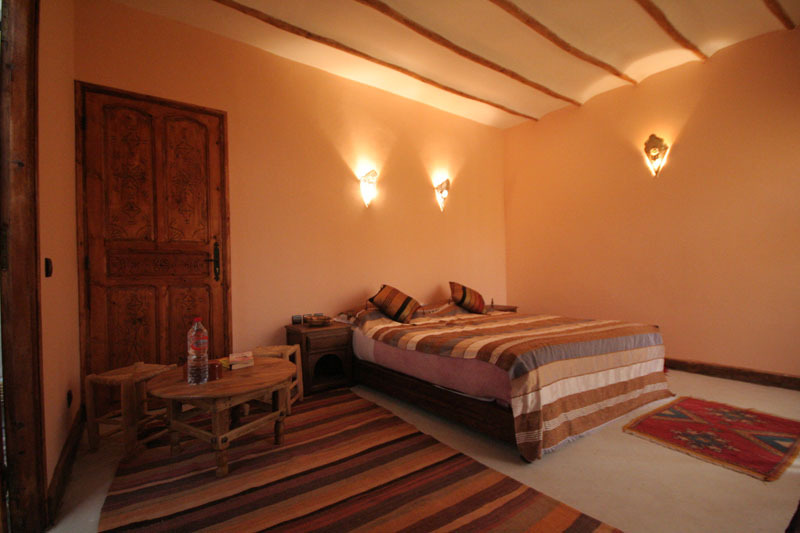 The standard suites at Le Village du Toubkal have a big double bed and salon seating area with low ceilings creating a warm intimate and romantic atmosphere. 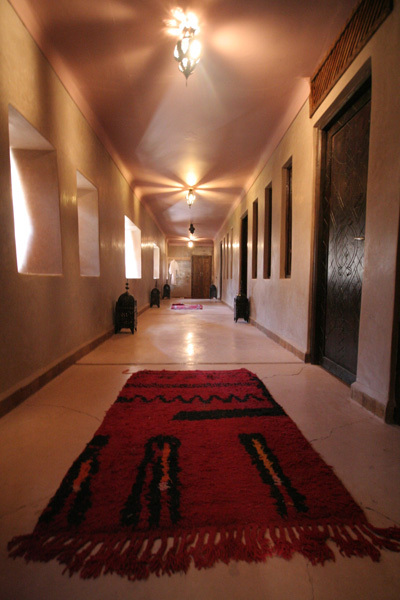 Berber rugs line the floor and walls and Moroccan artwork creates a cosy ambiance in these suites at Le Village du Toubkal. The private outdoor seating area at the front of the entrance is the perfect secluded spot to enjoy an afternoon of quiet reflection or evening aperitif. 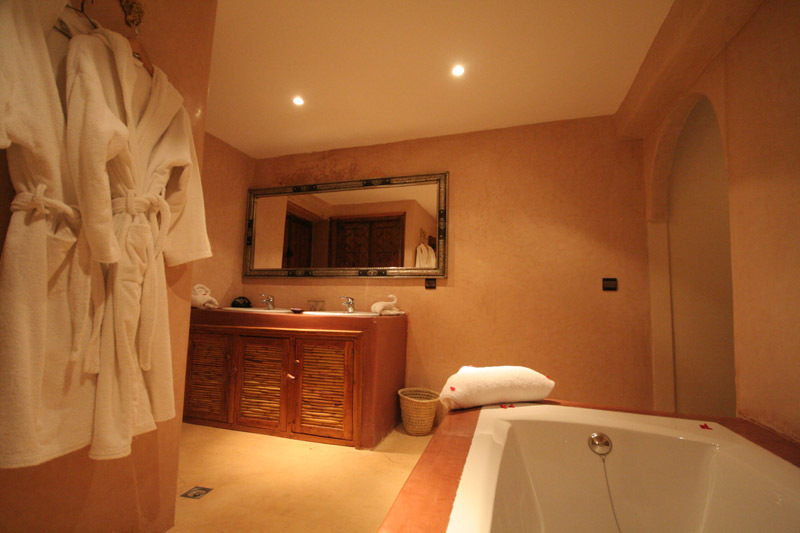 The bathrooms are spacious and designed in the style of a boutique hotel in Morocco, with large bath and beautiful bathroom linen. 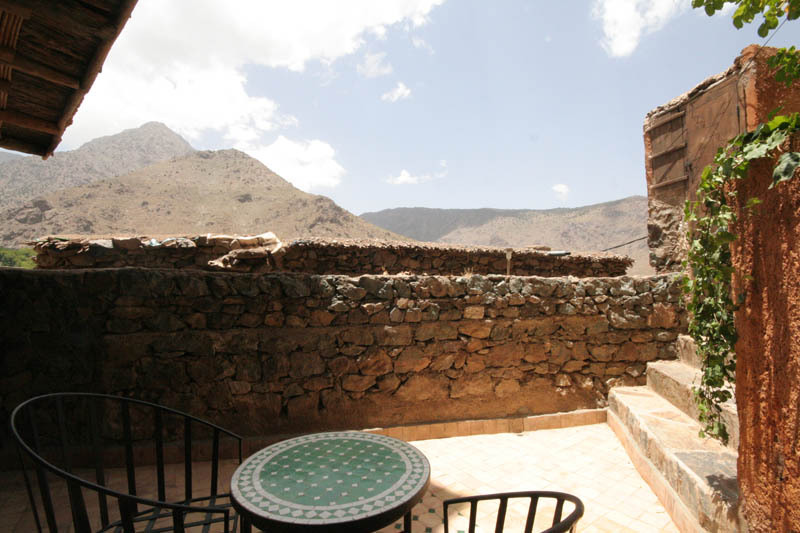 The base rate price at Le Village du Toubkal is in pounds, euros, or Moroccan dirhams and exchange rates are approximate.